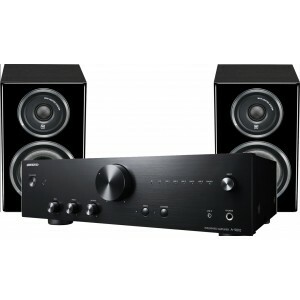 Onkyo A9010 and Wharfedale Diamond 11.0 Black Hi-Fi System Package is a great value combination of a sweet sounding powerful amplifier and compact yet dynamic 2-way bookshelf speaker pair. 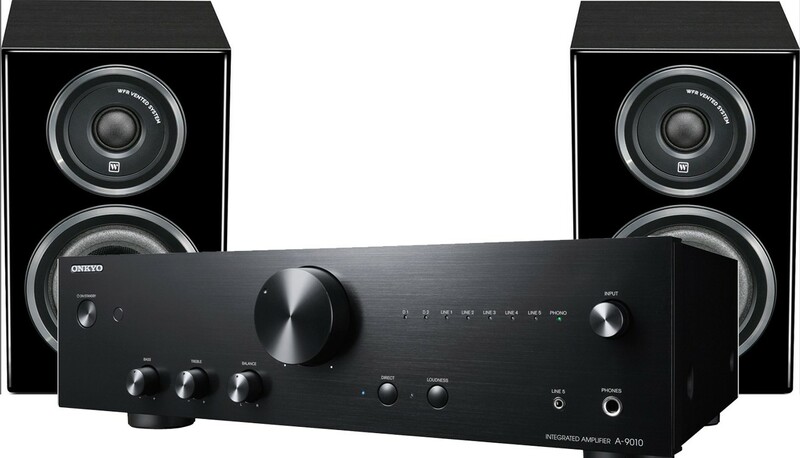 Merging the vintage-looking Onkyo A-9010 integrated stereo amplifier with the curved Wharfedale Diamond 11.0 bookshelf speakers provides warm full bodied sound and a full stereo solution that is easy to place thanks to the sleek black aesthetics and small dimensions. The Diamond 11.0's cabinet utilises woods of varying density ensuring fantastic acoustic quality and a sophisticated standard of finish. The bass and midrange drivers seamlessly combine woven Kevlar cones with large magnets and unique ribbed baskets thanks to the high-calibre virtual crossover software. The affordable vintage-looking Onkyo A9010 integrated stereo amplifier is tuned in the UK incorporating modified circuitries and four audio-grade capacitors delivering warm full-bodied sound. A large transformer, distinctive high-current low impedance circuitry, and a discrete output stage offer precise control of the speaker drivers with minimal distortion.